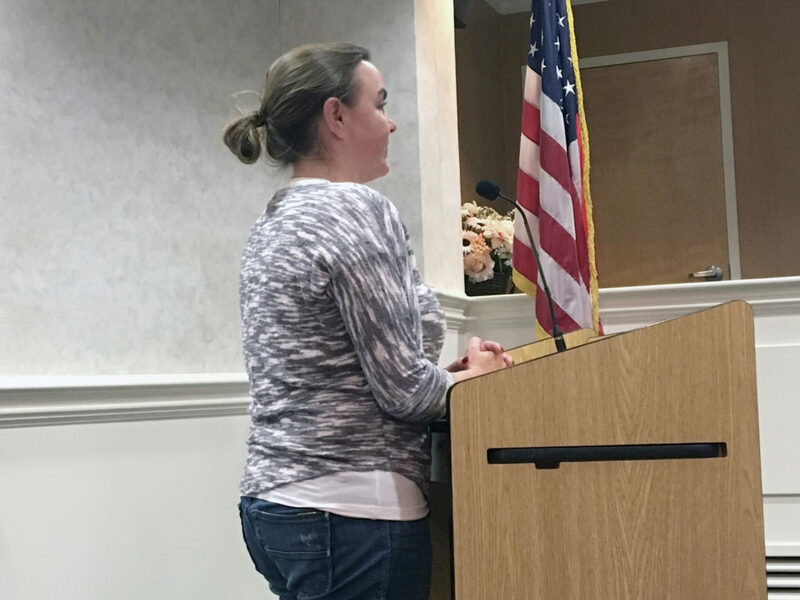 At the most recent Village of Mineola board meeting, the board of trustees approved Emily Cunha’s application to open an art instructional school at 270 Jericho Tpke. Emily Cunha addressing the village board about opening a new art studio in the village. Cunha has taught art classes before, offering them in schools as an afterschool elective and has been successful at it, which prompted her to open up her very own space. The studio would be open Monday through Friday, as well as Saturday mornings. Mayor Scott Strauss brought up the topic of parking and asked Cunha how she plans to go about the parking situation within the area. “There’s meter parking out front, there’s side street parking on Marcellus and Wellington. Parking is always going to be an issue. It is what it is,” responded Cunha. Art sessions would be an hour long with approximately 15 students with Cunha hoping to get at least 50 students on board in her first year of opening and wants to host adult classes as well. “During the summer there is no school. Are you planning on having summer camps or summer classes,” asked deputy mayor Paul Pereira. Cunha responded that she would love to host summer camp and is well aware that the Mineola School District runs a summer arts program too. “I’m trying not to compete directly since I send my kids there too,” added Cunha. The art studio will also have a retail space where creative items such as bins, T-shirts and dish towels will be sold. Once the art classes start, the retail portion would be closed. Cunha said that she is ready to open her studio by Dec. 1. Mineola resident Peter Burnside, who lives on Wellington Road near the art studio, voiced his concern about the potential parking problem that might ensue. Strauss, who agreed, told Cunha that if parking becomes a problem to reach out to Chaminade High School.